This is our 13th episode our amazing podcast called ‘Wrestling is Everything is Wrestling‘ or WEW for short, which is part of the Boomstick Comics brand on the Multi-Media Men Podcast label. That was a mouth full. 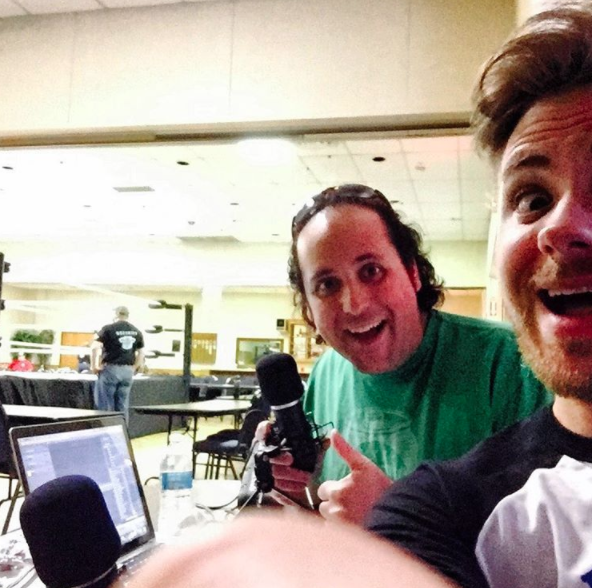 Bryan Kluger along with Scott Jackson who lives and breathes pro-wrestling went LIVE on location from the Dallas Elk’s Lodge #71 for SOAR Championship Wrestling: March to Destruction. We discussed matches set up there, which included the first ever Soar Championship Belt, as well as Wrestlemania 33. It was so much fun. This entry was posted on Thursday, March 23rd, 2017 at 5:17 pm	and is filed under Events, News, Podcast. You can follow any responses to this entry through the RSS 2.0 feed. You can skip to the end and leave a response. Pinging is currently not allowed. « ‘Check Out ‘The Control Group’ On Digital HD Now!! !